Conversion attribution is a new way of reporting online conversions and overlap between online marketing channels. It allows marketers and analysts to research how different touch points and paid media influence each individual desired action or transaction being tracked. 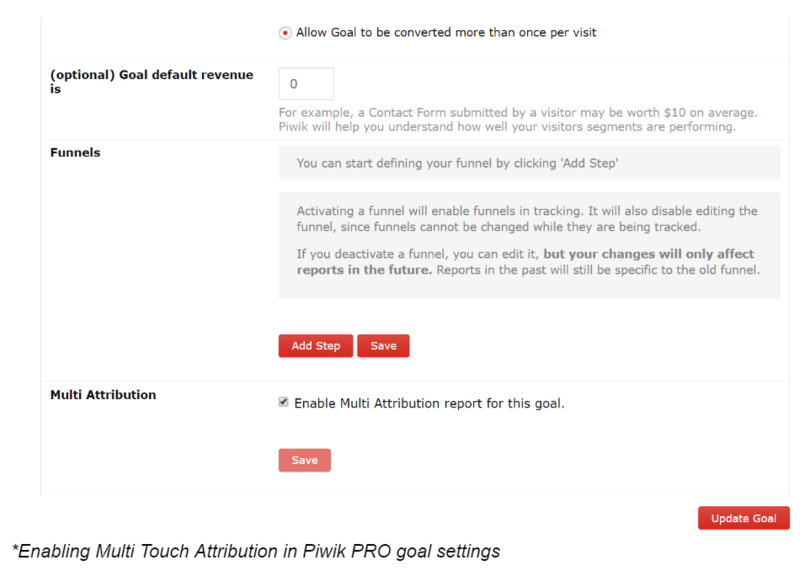 Conversion attribution has been recently introduced to the Piwik PRO premium feature stack. You can read more about it here. What’s the idea behind this functionality? Nowadays marketers use dozens of marketing channels and paid media to drive traffic to their website, and ultimately to achieve conversions. This makes the customer journey far more complicated and less linear than it used to be. Conversions don’t happen overnight though. It’s a long process, influenced by different marketing channels. Users interact with your content in many ways: AdWords, Facebook, SEO, email marketing and others. The “old school” Last Touch attribution model doesn’t tell us which channels and paid media drove a given conversion. Credit for conversions is given only to the last known touch point – an ad or link click. This is how most analytics tools record conversions by default. 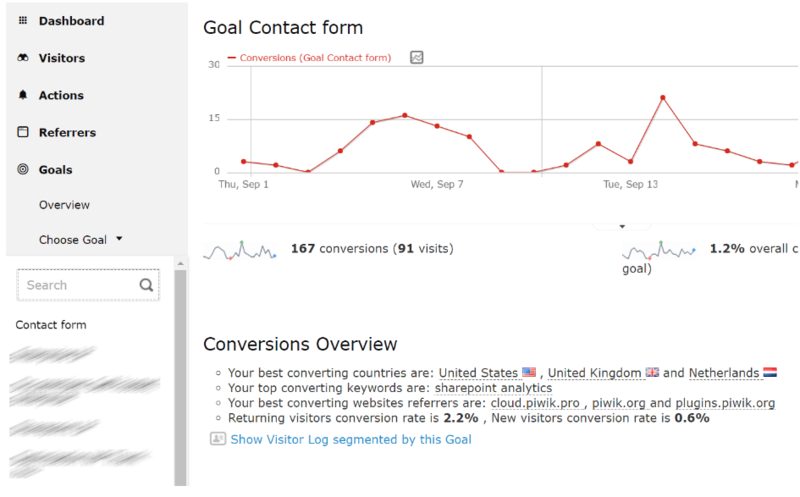 Should you use conversion attribution reporting? If you have been using traditional conversion performance reporting, you need to be aware that you might be missing a big part of the picture. No need to worry – there is a simple and fast way to determine if you need to evaluate conversion attribution on your website. 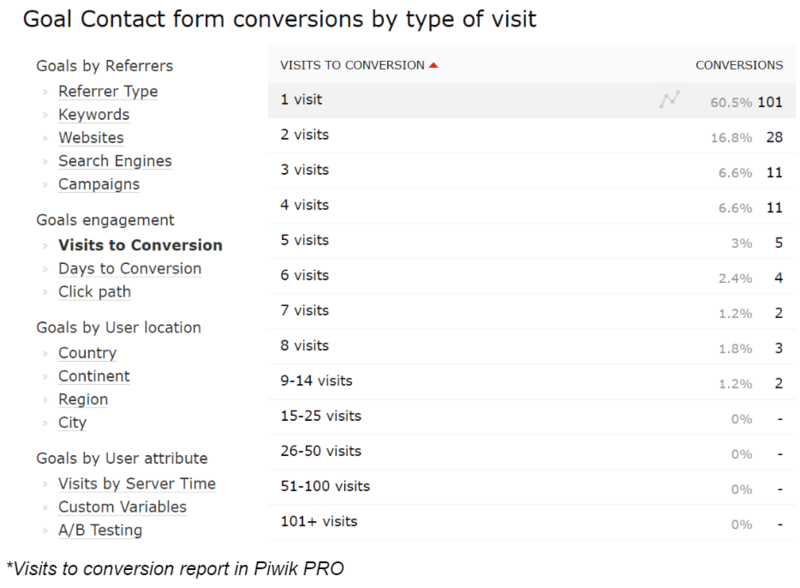 I assume that you have already set up goal tracking in your Piwik PRO platform and you are successfully tracking conversions on your website, so I won’t be covering this aspect here. The first thing you should do is to navigate to the Goal section and choose the goal for which you want to generate a report. In our example the goal is called Contact form, and this is exactly what is being reported on – the number of users who fill out the form in a given time period. As you can see in the report only 60% of all conversions happen during a single visit. Around 17% of conversions require two visits and 22% of all conversions require at least 3 or more visits to take place. This is the first sign of potential conversion attribution issues. If around 40% or more of your conversions require at least two touch points to occur, this might mean that your users are engaging with more than one marketing channel before converting. Let’s have a look at other signals of attribution issues in the Days to conversion report. In our example around 67% of conversions happen on the same day as the first visit while 33% of conversions involve the user coming back the next day or a few days later. This also creates a high probability that users return and convert due to an interaction with more than one marketing channel, ie. remarketing campaigns in AdWords or Facebook. We can also observe that some conversions take place as much as 60 or even 120 days after the first visit. This gives us an idea of how long our customer journey might be. It is also a piece of information that we can use when analyzing our conversion attribution reports. So after analyzing the way users covert on our website we already know that we might be experiencing conversion attribution issues. It’s now time to jump to conversion attribution reporting and reveal the true relation between our marketing channels and paid media. If you are facing conversion attribution problems it’s time to start using Multi Attribution reporting. This reporting can be enabled for each individual goal you set up in Piwik PRO. Open goal settings to do so. As soon as Multi Attribution reporting is turned on, you will start collecting data. Note that you need to create and update a new report for each individual goal. This allows us to perform detailed and focused analysis. Before we jump into the reports itself, it’s vital to understand how to navigate through them and how to interpret particular attribution models. This is the default attribution model for many web analytics tools, including Piwik PRO. Last Interaction is the attribution model used by the vast majority of marketers worldwide. Sadly, this is the most misleading and useless attribution model in today’s multichannel world. If you are using more than one marketing channel like Facebook or AdWords, then it is high time to move away from the the Last Interaction model towards more accurate ones. The way the Last Interaction model works is very simple. Last Interaction attributes 100% of conversions to the last click before a given conversion, which means attributing 100% to the last known traffic source or referrer. So if the last visit before conversion came from direct traffic, then 100% of the success will be attributed to the direct entry. As we have seen in the Visits to conversion report, this model is very misleading. More than 40% of our conversions required 2 or more touch points. Therefore, there is a very high probability that multiple marketing channels contribute to 40% of the conversions we are tracking on our website. The main disadvantage of this model is that it totally ignores the previous steps and touch points in the customer journey and as a result can lead to very bad business decisions. The Last Non Direct Interaction model is very similar to Last Interaction. This is currently the default model used in conversion reports generated by Google Analytics. This model is more accurate than the previous one, but is still far from perfect and can lead you to wrong conclusions. It removes direct visits from the equation and attributes 100% of conversion to the last known click/traffic source/referral. Imagine this: Your customer lands on your website from a direct visit. However, a few days before she entered it through your Facebook feed. The direct visit will be removed from the equation and 100% of the success will be attributed to Facebook. Just like the previously described model, the main disadvantage of this model is that it does not take into account a lot of touch points in the customer journey. This model can also lead to false insights and bad decisions. The First Interaction model is the opposite of the two previous channels. In this case, 100% of the marketing success is attributed to the first known traffic source / referrer. Example: a user visits our website from Google AdWords. Then she enters via Google organic search. Finally, the third and the last visit before the conversion was a Direct Visit. 100% of the success will be attributed to Google AdWords. This approach allows us to achieve far smarter insights, but still no credit is given to the touch points in the middle, such as organic search. We only recommend using this model to learn more about the first touch points with our brand, and if you are especially focused on building awareness of your brand or product. This model is very useful if your major concern is brand awareness and you want to put special value to channels that are the first touch points with your brand and raise the awareness. Still imperfect in other use cases as it ignores further touch points in the customer journey leading to the final conversion. The Linear model brings us one step closer to a proper understanding of the multitouch nature of modern marketing. The Linear model treats each touch point and click equally. In this model, success is attributed in equal measure to each referrer and visit taking place before the conversion. For example, if a user generated 3 visits (Google AdWords + Google organic search + direct visit) before converting a goal, then success will be attributed like this: around 33% success will be attributed to Google AdWords, around 33% will be attributed to Google organic search, and the remaining 33% to the direct visit. The Linear model appears to give us decent feedback, but we want to draw your attention towards the following two models which, in our opinion, are the most actionable. The disadvantage of this model is that it is unable to put different weights and importance to a individual touch points and clicks. In most cases not every touch point or click will have the same impact on the final conversion. Some touch points will be influencing conversion more and some less. Attaching the same value to each one of them still may lead to a bad decision making. Time Decay is one of our two favourite attribution models. It is also one of the models recommended by Avinash Kaushik in his blog post Multi-Channel Attribution Modeling: The Good, Bad and Ugly Models. In the Time Decay model each touch point and click gets rewarded. Importantly, however, the closer the touch point is to a conversion, the greater its recognition. The exact distribution of success in the Time Decay model can change. It depends on the number of clicks/touch points that took place before the conversion and the days between each touch point and the date of the conversion. This was just an example to illustrate how the conversion distribution might look in the Time Decay model. In your particular case the distribution may be slightly different, but the general rule should remain the same. Highly recommended model for reporting upon most marketing campaigns and channels. Especially recommended for brands and companies that know for sure that time is of an essence and that each day day counts in their customer journey. The Position Based attribution model is our second-favorite model, and it also enjoys the confidence of Avinash Kaushik. At first glance this model looks sophisticated, but in fact it’s quite simple to understand. The Position Based model attributes 40% of conversion success to the first touch and another 40% of conversion success to the last touch. The remaining 20% is split evenly between all other touch points and clicks conducted before conversion. Highly recommended model for every marketer that wants to start reporting using attribution models but is not sure which model will be most suitable for him. It is not perfect attribution model, because there is no that fits all companies and websites. But from all the pre defined and described model Position Based Attribution model is perhaps the most accurate and provides the most realistic overview of the customer journey. It will not lead to the smartest possible insights and decisions but will put every marketer on the right path. Now that you know the basics of the different attribution models available in Piwik PRO, we can start generating reports and get valuable insights for our business. Let’s begin by analyzing a Multi Attribution report for the Contact Form goal mentioned earlier. Multi Attribution reports can put up to three attribution models side-by-side at once, so you can compare the results generated by each method. So let’s say that until now we’ve been using the Last Interaction attribution model. After doing some analysis we figured out that this might not be the best model for us, and may even be leading us to false conclusions. 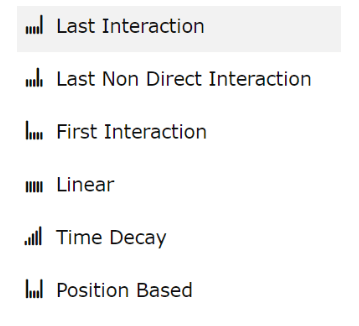 We want to test our last interaction model against the Time Decay and Position Based models. We’ve decided to take a 90-day period for the purposes of this analysis. Why 90 days and not 45, for instance? To understand this, we have to go back to the Days to conversions report. There we see that our conversion cycle (or customer journey) can take up to 120 days from first visit to goal conversion. This helps us understand that we should analyze our conversion journey over the longest available period. 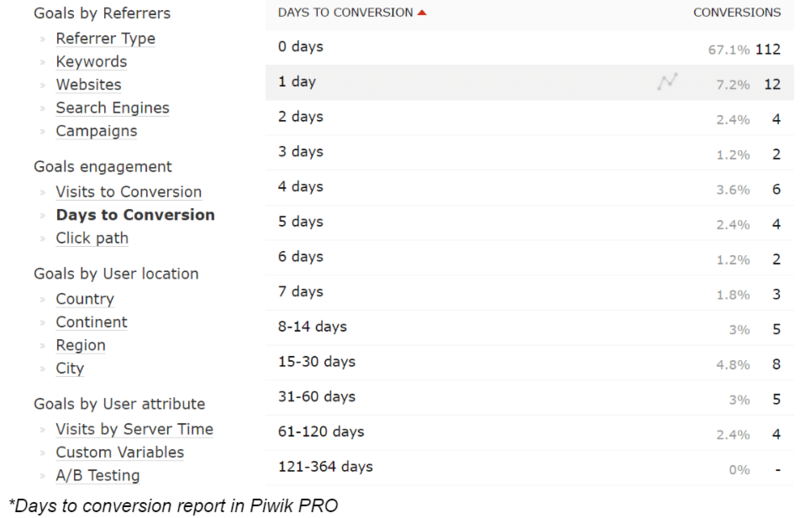 Piwik PRO currently lets you analyze up to 90 days. So what conclusions might we reach after looking at this report? The Last Interaction model attributes too many conversions to direct entries and doesn’t give enough credit to other marketing channels that generated earlier touch points and clicks along the path to conversion. The Last Interaction model undervalues search engines as a marketing channel influencing new conversions. The Time Decay model attributes almost 13% more success to search engines, while the Position Based model almost 26%. It seems that many users begin their customer journey with search engines. Later they come back by typing the URL or through a bookmark. In such cases the Last Interaction model strips away the value of SEO while crediting direct entries. 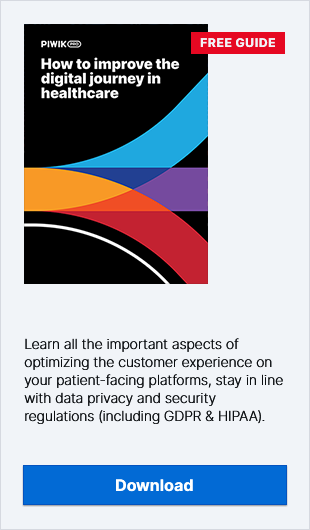 What insights and recommendations can come from this report? After analyzing this report we should be able to formulate a hypothesis regarding our marketing budget allocation on paid media. You may want to increase investment in SEO and search engine presence. This could lead to an increased number of conversions reported in the Last Interaction model as direct entries. You should test and analyze which model works the best for you. Would it make sense to use the Time Decay model if you know that the sales cycle can take more than 90 days? Would the Position Based model be better in this case? What we’ve shown you above is an example of how we can analyze Multi Attribution model reports. There are many more use cases and possibilities for using this report and generating powerful insights. If you want to learn more about Piwik PRO Multi Attribution reporting feel free to get in touch with us. Subscribe to our blog and get more great content on the possibilities offered by Multi Attribution.